We’re posting this information about the “Give a Spit About Cancer” campaign to help spread awareness regarding healthcare disparities in bone marrow transplant recipients. As usual, white patients have a greater chance of finding a donor match than people of color. If more bone marrow donations are given by people of color, the % of matches in this population will increase. Please help us spread the word. Since 2011, Give a Spit About Cancer has mobilized more than 8,000 young people to change patient lives through registering to become a bone marrow donor. Last year, Johnson & Johnson teamed up with DoSomething.org and the Give a Spit About Cancer campaign to help amplify those efforts. Give a Spit About Cancer was established to help address a staggering health disparity that exists among bone marrow transplant patients: 77 percent of white patients have a chance of finding a viable donor, while black patients only have a 23 percent chance. By increasing the diversity of donor registries and targeting donors between 18 and 44, the campaign aims to do what nurses strive for every day: give all patients an equal chance, regardless of race. Throughout this year’s campaign, DoSomething.org and Johnson & Johnson will take to social media to spread awareness and mobilize the community to take action. However, the campaign is much more than a social media movement – it is truly saving lives. 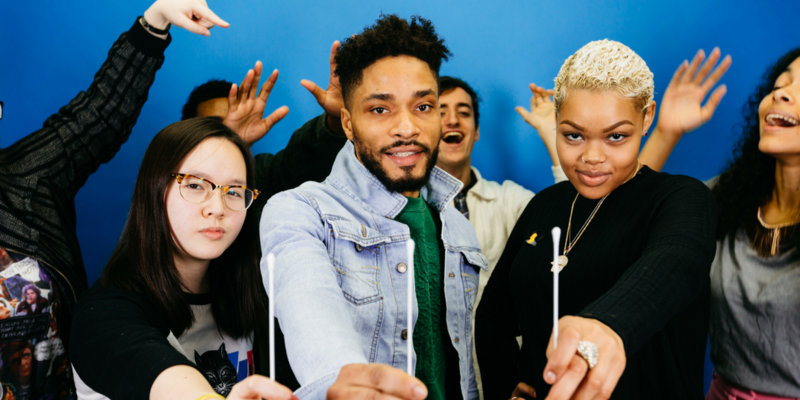 Young people can help make a tangible difference by simply swabbing their cheeks with the provided swab kits, which adds them to the partner organization Be The Match®, operated by the National Marrow Donor Program® (NMDP), the largest and most diverse marrow registry in the world. For donors like 19-year-old Veronica, diversifying the bone marrow registry is essential to providing life-saving operations, like those that could have saved the life of her friend Demarco, who had bone marrow cancer and passed away after a transplant rejection. “I want to help people like my friend because he deserved to live his life and go to college, but wasn't able to achieve his dreams,” Veronica shared with DoSomething.org. “I'd hate to see more young people suffer from cancer when they are more than able to make this world a better place like Demarco did. For his memory - this is why I want to donate, to change someone’s life." The Give a Spit About Cancer campaign launched on March 27 – now is the time to get involved. Visit DoSomething.org to find out how you can get a swab kit, start a drive on your campus, encourage your peers, and get involved in the movement.